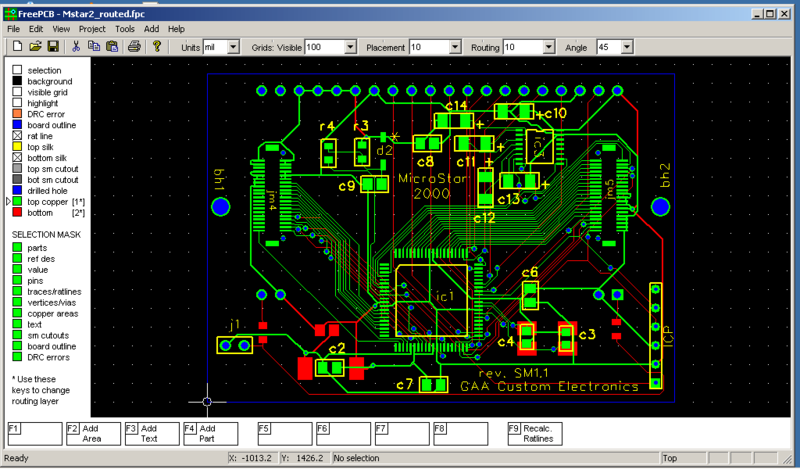 This is a vector based PCB circuit layout program for designing printed circuit boards. It contains auto-routing functions as well as parts libraries and a number of other functions. Part 1 of 3. Save circuits created by yourself first on floppy. DON't USE IT IN RUSH !